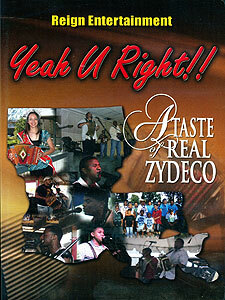 It’s what you want…It’s what you need…A Taste of Real Zydeco!!! From the Zydeco Capitol of the World, Opelousas, Louisiana. In this session, you’ll learn learn about not only the music, but the culture. Also, in this comedic, yet informative documentary you’ll also get a taste of some good ole Cajun food…need I say more. 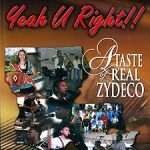 You’ll also get to meet a few of the many majors musicians in Zydeco music including: Leon Chavis and The Zydeco Flames, Brad Randall and The Zydeco Ballerz, J Paul Jr and the Zydeco NuBreeds, Same ole 2 Step, Keith Frank and many more. Learn to Zydeco dance with Carolyn Spivey and the Zydeco Ballerz Dance Program and meet the locals. Come and see what it’s all about. “Yeah U Right!! !” Come and get a taste!!! Bonus features include scene selections, outtakes & music videos.